The use of forensic entomology has become established as a global science. Recent efforts in the field bridge multiple disciplines including, but not limited to, microbiology, chemistry, genetics, and systematics as well as ecology and evolution. 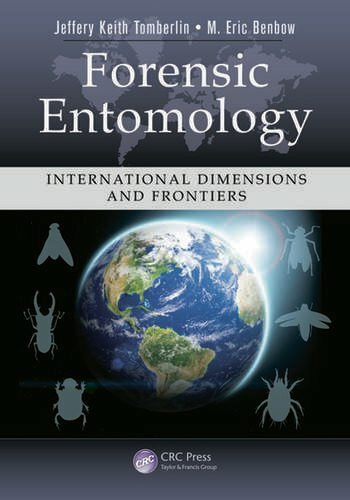 The first book of its kind, Forensic Entomology: International Dimensions and Frontiers provides an inclusive summary of worldwide research on this body of knowledge that integrates aspects of a wide range of scientific realms. The book is designed to provide readers with a firm appreciation of the history of forensic entomology and the scientists who built its foundation in each of the countries presented. In doing so, it is destined to inspire new and exciting global collaboration among established researchers and newcomers to the field. Surface Hydrocarbons as min-PMI Indicators. Fit for Purpose? Dr. Jeffery Keith Tomberlin is an associate professor and co-director of the Forensic & Investigative Sciences Program and principal investigator of the Forensic Laboratory for Investigative Entomological Sciences (FLIES) facility at Texas A&M University. Research in the FLIES facility examines species interactions on ephemeral resources such as vertebrate carrion, decomposing plant material, and animal wastes to better understand the mechanisms regulating arthropod behavior related to arrival, colonization, and succession patterns. His research is also focused on waste management in confined animal facilities and the production of alternate protein sources for use as livestock, poultry, and aquaculture feed. Dr. M. Eric Benbow is an assistant professor in the Departments of Entomology and Osteopathic Medical Specialties at the Michigan State University. The research in his laboratory focuses on microbial–invertebrate community interactions in aquatic ecosystems, disease systems, and carrion ecology and evolution. All of these research foci use basic science to inform applications in forensics. He is regularly invited as a speaker at international and national academic meetings related to forensic entomology and has led workshops at the international level discussing experimental design, statistical analyses, and the importance of novel basic ecological concepts in advancing the field of forensic entomology. "I found each of the chapters to be well-written. 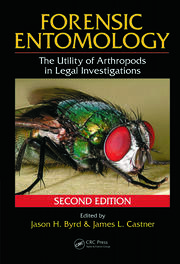 The editors succeeded in compiling much of the history, current state, and future of forensic entomology and its related fields for this book. Overall, I found Forensic Entomology: International Dimensions and Frontiers to be very informative. 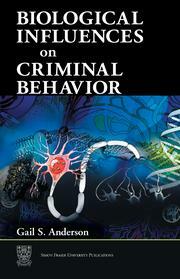 It is an overview of the state-of-the-art of forensic sciences related to medicolegal entomology. 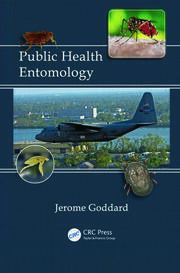 Anyone interested in studying forensic entomology could glean a great deal (the good and the bad) from reading this book."